The interesting thing about reading the Harry Potter novels chronologically (for my Really Like This Book podcast series on HP), and fairly close together, is that you can see the patterns in their construction. 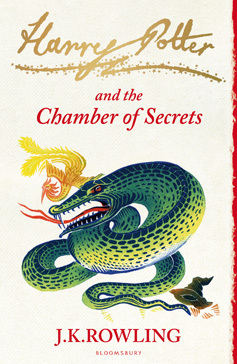 In The Chamber of Secrets J K Rowling reused the pattern that began Harry Potter and the Philosopher’s Stone. 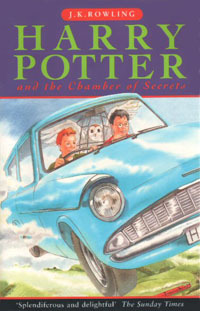 The novel begins with Harry at the Dursleys, he’s not happy, there’s a climactic episode where magic invades the Dursleys’ world, and Harry is rescued from them and goes off to Hogwarts. In The Chamber of Secrets the climactic Dursley episode is the whipped cream pudding crashing to the floor thanks to Dobby. In The Prisoner of Azkaban, which I’ll be doing next time, Harry blows up Aunt Marge into a balloon. These episodes of increasing tension, release, and joyous escape, produce a very happy feeling, because they’re cathartic. They get rid of our worries that Harry and the readers won’t be able to get back to Hogwarts, but they don’t get rid of the tension within the wizarding world that there is something dark and evil creeping around, with the Dark Lord waiting to rise again. In the Chamber of Secrets, we’re able to see a little more of the darkness waiting, because Harry is a little more observant, or cognizant, of things that younger readers won’t notice or understand. The first thing we don’t understand is Dobby, because Rowling is withholding a lot of the lore of house-elves from us on his first appearance. We do learn more about them in later novels, but we can see just on this first appearance in Chamber of Secrets that there is a great deal more to understand about them than we’ve been told, which increases their attractive mystery. 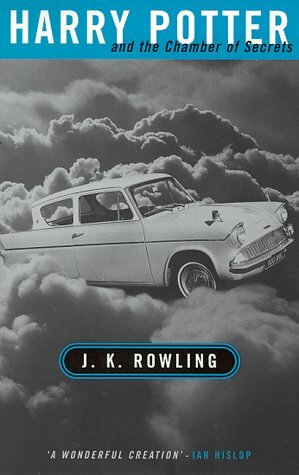 Then there is the dreadfulness of Harry & Ron’s crime in being seen in the flying car: we hadn’t realised until now quite how separate the wizarding and Muggle worlds are kept by their respective authorities. We also had very little idea until this book that there were wizarding authorities, or the extent to which there was a wizarding world with its own organisation and laws. The arrival of the letter telling Harry off for doing magic in the holidays opens that new door. 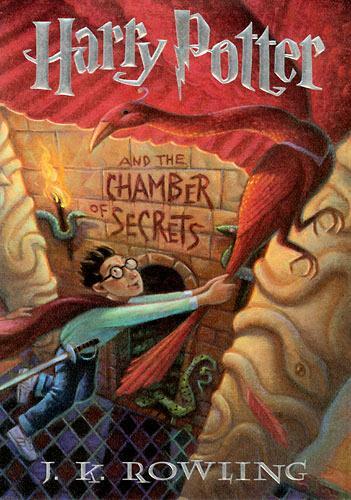 Harry’s accidental journey into Knockturn Alley takes him through another new door, exploring who the nastier wizards and witches are, what they have, where they shop, and so on. But so much isn’t explained, and each item mentioned so obviously has its own story. The richness in the details is what makes the unexplained aspects of the wizarding world so enjoyable. There is also the increased exposure to what the adult witches and wizards think about their world. They act in very recognisable ways that reflect how the younger characters operate as well. In this novel, the confrontation between Mr Malfoy and Mr Weasley matches, and undoubtedly encourages the aggression between their sons. Mrs Weasley’s crush on Lockhart is matched by Ginny’s crush on Harry. Gilderoy Lockhart is a creation of genius, because he operates as a character on so many levels. He’s a luvvie, and a self-interested and egotistical fraud, so that’s very interesting: we learn that like all humans, not all witches and wizards tell the truth, and they actively mislead others for their own gain. Good lesson. Lockhart is also an experienced manipulator of his reading public, the gullible middle-aged witches who go all fluttery at the sight of him. Celebrity is very familiar to us from the fan’s end, so it’s highly instructive to be shown how the celebrity works this for their own advantage. The revelation, told later, that Lockhart hasn’t done any of the things his books say he has done, doesn’t surprise us. Lockhart’s appropriation of Harry’s celebrity to add to his own, and his assumption that Harry too wants to be as famous as Lockhart does, are painfully funny, as are all situations which plunge the hero into awkwardness. And finally, Lockhart’s tips to Harry on how to manage his fame, when it’s clear to the reader that this is the last thing Harry wants, show us that Lockhart is jealous of Harry’s genuine, greater, more serious fame, as shown by his efforts to keep ahead in the fame game that he doesn’t realise that no-one else is playing. Lockhart is a lot of fun, but he’s loaded with messages about the process of becoming famous that only Rita Skeeter, in a later novel, will match. I can’t remember very well what it was like to be twelve, but I can remember the awe of being a first year in the mock-baronial 19th-century pile that was Aberdeen Grammar School. Corridors, endless corridors, and the terror of knowing that you’re late for a class whose location you can’t find: Rowling certainly got that right for Hogwarts. I can also remember the happiness of knowing that the nice teachers might not mind very much if we answered back sometimes, and our rigid best behaviour in second-year physics, whose teacher was outstandingly good at keeping order through fear. Rowling’s depiction of Hogwarts as a school is very good indeed, as is her timing of Harry and Ron’s bad behaviour, and their cockiness and thoughtlessness. There’s a strong foundation of realistic British school culture in these novels, the behaviour, norms and expectations. This is of course completely at odds with a basilisk loose in the pipes, an enchanted diary that corrodes the will, and duelling lessons. The contrast between extreme normality and wildly fantastical adventure is highly enjoyable, and the school setting accentuates the drama of the magic, the traps, the creatures, the ghosts, and so on. I really admire how the seeping sense of danger approaching is hidden behind the fun and excitement. Rowling is very good indeed at introducing uncertainty at the back of the mind, hiding behind the Quidditch match. Her plotting is impeccable: nothing is wasted, every event and action has a solid justification that’s been signposted pages before, and she hides the foregrounding material to be used in later books so that we don’t notice its importance. The usual technique for this is to give such a piece of information two functions; one for now, and one for later. 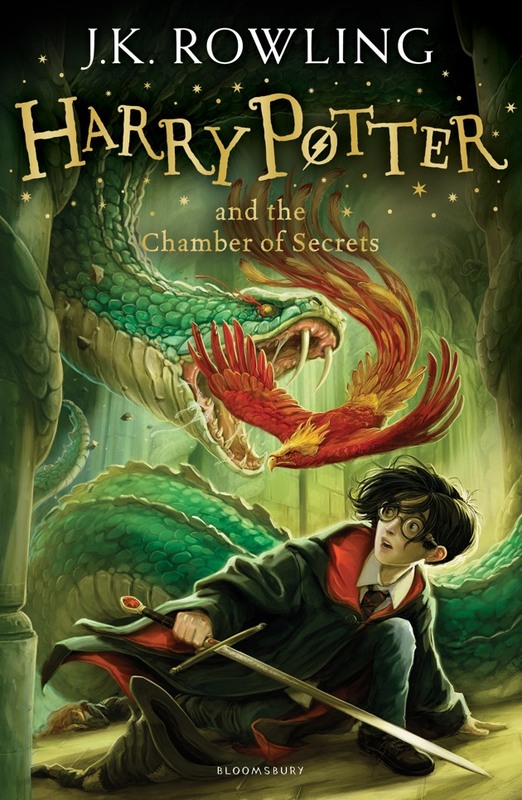 Hence, back in The Philosopher’s Stone, when Harry found that he could speak to snakes, that was a valuable piece of information to be used in The Chamber of Secrets. But in the earlier book, we just assume that speaking to snakes is what wizards do, it’s simply part of the unknown world we are only just beginning to understand. 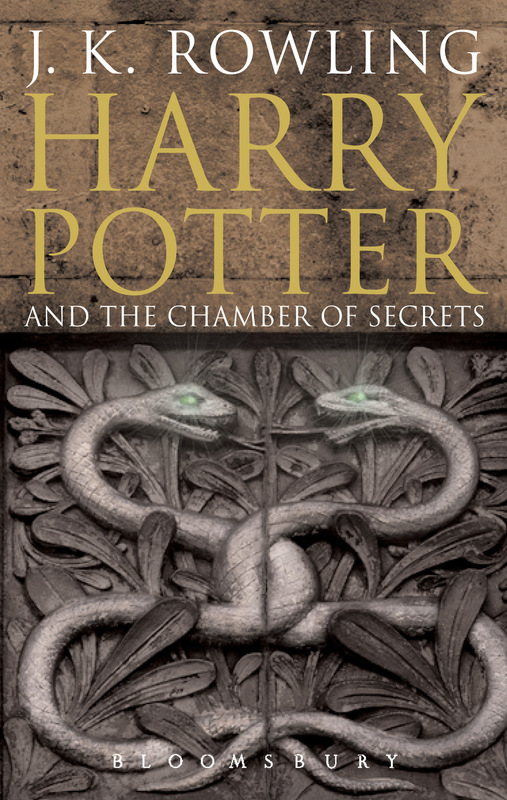 Only in The Chamber of Secrets do we find out that being a Parseltongue is very rare, it is closely associated with the Dark Arts and with Slytherin, and there is considerable social feeling against it as a character trait in the wizarding world. All this falls with a crash on Harry’s shoulders just when he doesn’t need to be thought any more odd than he already is. We have our confidence jolted, because something is not as we thought it was, we don’t actually know what is normal in the wizarding world at all. We realise that Ron is a crucial character for the reader to rely on, as well as Harry and Hermione, since he is the most accessible source of information about the everyday life of wizards. But this isn’t actually completely reliable: would you trust a 12 year old boy to explain to Martians how your life works? Especially when they might need to know more than what a 12 year old boy is interested in? That’s why Rowling had Hermione memorise Hogwarts: A History. The Weasley family are turning into Harry’s surrogate family, since he is strongly in need of guidance and advice, as well as working out what is normal in his new life. Can the wizarding world be read as a metaphor for puberty, for becoming a teenager, for the human rite of passage? Fantasy fiction in western culture about the discovery of new skills and experiences does tend to feature teenagers, or very young adults, as the protagonists, so the discovery of the new world is closely bound up with the discovery of the new you. It’s well-known that parents are not teenagers’ first choice for their guides and mentors in the new world, which is where teachers, and the parents of friends become important: permitting distance, being able to be objective, and also offering security when required. It’s all about learning to fly. If I knew more about football I’d be raving about the Quidditch descriptions. I think the best ones are in the Prisoner of Azkaban, but in The Chamber of Secrets the Quidditch games, and training, function more obviously as the physical release that the children need in gym and sports classes. But is that all they can do? No netball, athletics, tennis-like games to replace the real world equivalents? What do those wizarding children do for sport who don’t get picked for the Quidditch team? And who else do they play against, outside the school? Next week: Harry Potter and the The Prisoner of Azkaban.